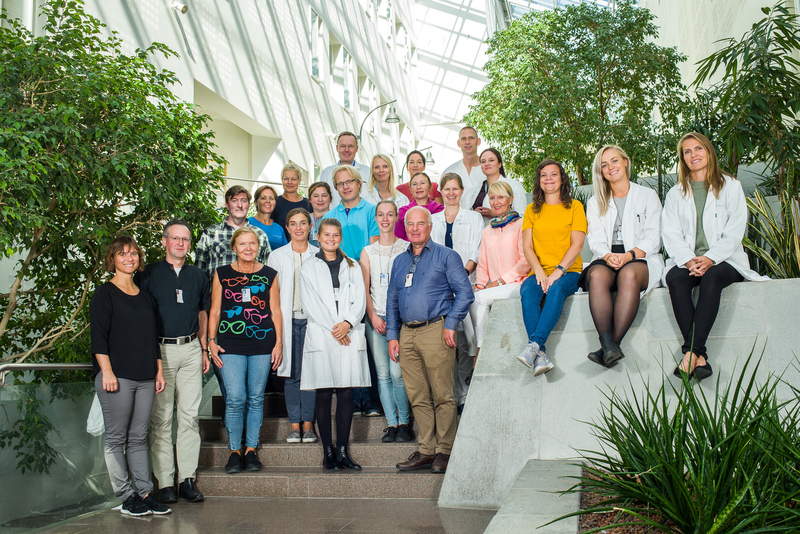 The Pediatric Research Institute (PFI) was established as a joint university and hospital institute at the Rikshospitalet in 1959. In the first years, research focused on hematology; however, soon a whole range of research topics was established, including metabolic diseases, pediatric cancer, adverse effects of bilirubin, and basic research on the effect of peptides on diseases. During the last 20 years, the research focus was primarily on the effect of hypoxia-reoxygenation injury and oxydativ stress, especially during the neonatal period. For this purpose, a number of animal models and cell culture models were established at the PFI. PFI collaborates extensively with a number of national and international research groups.